Well, we had a busy week at my house. The same day that Lucky was adopted Angel moved to a different foster home. We did not want to see her go until she found a forever home, but we had to make room. 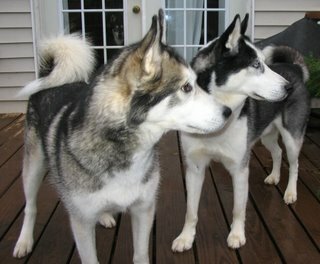 If another foster home could take Angel, the 35 pound, quiet female, we could take two young, talkative brothers who were coming to MaPaw together. So, Lucky and Angel left and Rocky and Buck arrived. Then it really got crazy. 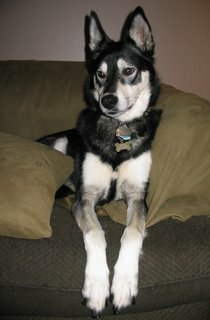 Remember the old friend, Chena, who Mama and Papa visited with a package from us? Her mama fell and hurt herself so Chena is staying with us for a while until her mama feels better. 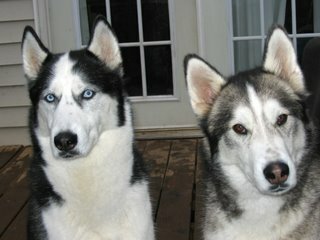 We really enjoy visiting with Chena but we do hope her mama gets better quickly. Chena likes to sleep with Bailey in his bed. 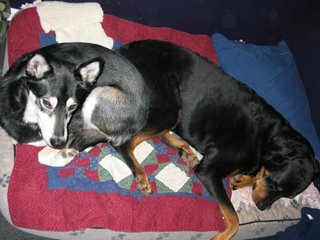 Rocky and Buck curl up together on their blanket. That leaves a whole bed for me and a whole bed for Ananya. I like to practice my pathetic looks and make Mama and Papa let me sleep in their bed. Apparently with all the puppies coming and going, Mama and Papa got confused because they brought a tree into the house. Rocky peed on it to let them know it belonged outside, but they did not understand. I have to do my best to help Mama and Papa, so I sing them beautiful songs and keep my spot on the couch warm and remind them frequently that we need lots of walks. Being a foster brother is tough work sometimes.